Suppliers for the General Motors Lordstown plant are preparing for the domino effect that has already begun as the automaker begins to wind down production at the facility. Lordstown is scheduled to go idle this March. The Vindicator reported Sunday that Lordstown’s shutdown could affect thousands of jobs at auto suppliers from hourly workers, to warehouse staffers, and truck drivers who transport the goods. Dave Green, United Auto Workers 1112 president at Lordstown, told the newspaper there’s no safety net for the supplier workers. 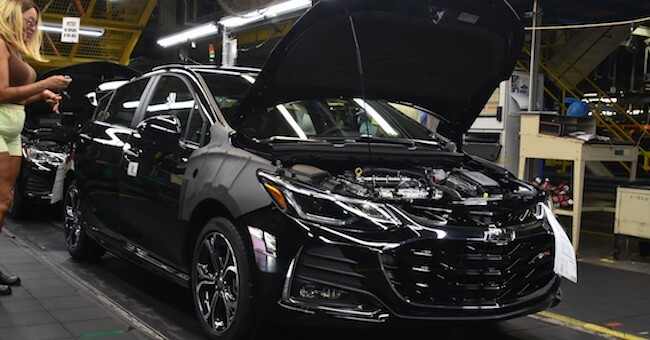 GM has highlighted the fact many of the impacted Lordstown workers can transfer to plants that are in demand for labor. There’s no such protection for supplier workers. One supplier has already announced it will close its doors this March when GM idles the Lordstown plant. Source Providers Inc. said last December it would cease operations and 180 jobs left at the facility. 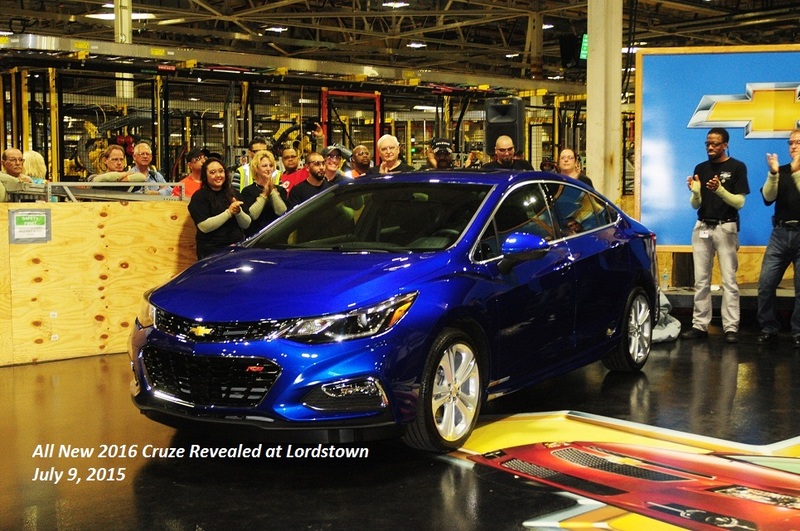 In total, as GM scaled back Chevrolet Cruze production, 600 jobs were shed from the supplier. Lordstown Seating Systems, a subsidiary of Magna, also announced last December it would lay off workers and said it would idle production in tandem with the auto plant’s shutdown. It’s unclear how many jobs are affected, but critically, Magna said it would not shut the plant down. It remains hopeful workers will be able to return to work in six months. If GM does not allocate a new vehicle to the plant, it will consider the layoffs permanent. Some local suppliers began to diversify their business in the Great Recession last decade, which protected them from keeping too many eggs in one basket. One of them is Jamestown Industries, which does not rely solely on the Lordstown plant for business. It’s diversified to include work from warehousing, logistics, and packaging outside of the auto industry. 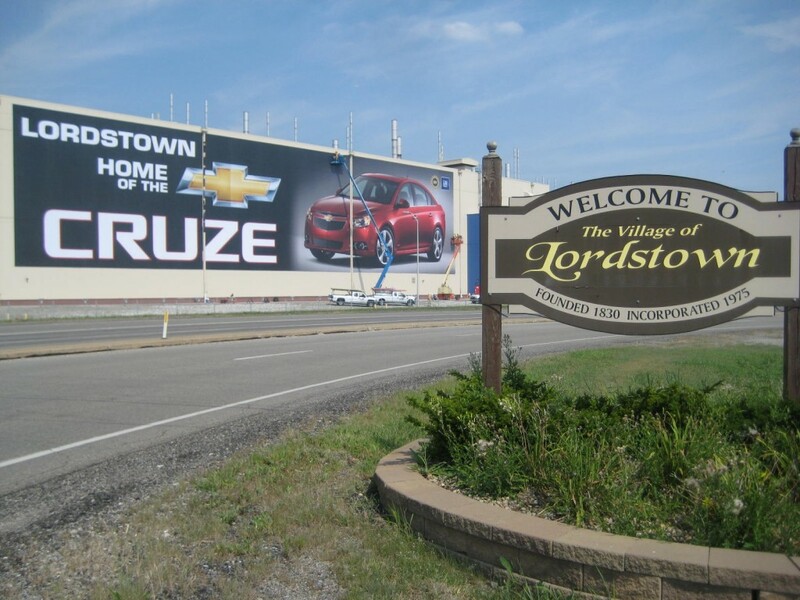 Yet, its largest customer remains the Lordstown plant and the supplier builds front and rear bumper covers for the Cruze. One employee, Melissa Green, who’s worked at the supplier for 14 years said she doesn’t foresee a bright future ahead and plans to transfer into the nursing field. GM is failing under the direction of Miss Mary Barra. She is a fraud, fake and a phony. Of course the fake news loves her just because she is a HER. Most of us have awoken to that game. But she needs to remember that the American taxpayers bailed out GM to the tune of well over $50 Billion when she goes slashing the jobs of hard-working Americans and Canadians, destroying their families in the process. If GM was doing well under her leadership, then why is she cutting jobs and closing factories left, right and center? Couldn’t have said the comment better myself. Mary Barra needs to go! That that CFO with her. I don’t know if you’ve realized this but auto sales are slowing and customers are moving away from sedans in the US quickly. It’s sad but it’s great to see GM react earlier versus later. No one wants to lose their job but at least the market is relatively healthy right now to find a new job. I here comments about why GM didn’t build the blazer in the US and the answer is simple – cost. Cost to produce and cost to refit the Lordestown plant to build SUV’s. Let’s say it would have cost GM $100m more to upgrade the plant here versus Mexico. That means it would take GM longer to realize a profit on Blazer sales. And that’s not counting the higher union wages. All of this just makes a more expensive vehicle or a longer cost recovery time. Note the lack of unions with the Japanese and European automakers in the US. Buddy, can you spare $.21? GM’s net worth at the end of 2017 was $35B. The average American’s net worth is about $77,000. Therefore, GM spending $100 million more to make the Blazer in the US would the equivalent of the average American spending 21 cents. Under a policy program called something like the Trouble Asset Relief program, the US Government did spend $49.5 Billion on GM but this was exchanged for an equity stake in the company. It also saved many jobs, and at the time; bankruptcy was not an option because there was no lenders. Then later the US government sold their equity stake and recouped all but 11.2 Billion. However, the Troubled Asset Relief Program made money for the US. It only loaned money in exchange for an equity stake when lending was non-existent. The big problem GM had before the great recession was the cost of retired employees; this raised their cost tremendously. Keep in mind; at the same time foreign auto manufacturers with US plants had few legacy employee expenses and also received significate state subsidies. I know in one case, this subsidy amounted to $100,000 per employee at one of the southern plants. You can’t say that for sure. GM’s inept management that now includes Barra has had a history of cutting back in good times and bad. Kind of a GM tradition since the days of Roger Smith. Let’s not forget Bo Anderson who beat up suppliers to point of GM parts REALLY getting cheaply made! So GM should spend billions on a segment that nationally has gone from 70% to 30% of the market just to employs a couple plants just to be nice? They are killing off dying lines and investing the money in other plants and product most of which is in America. The Roger Smiths in the past did not have the balls or contracts that would let them cut models and plants easily with out even larger loses. If anything Roger gave us Saturn. That was a total failure. In business there are times to expand and contract and right now the sedan market is contracting to where investing in it would be a major mistake. Also GM has enough production capacity Oshawas Union is no longer of need anymore. They cut their own necks. GM today is in better financial shape to head into the shrinking auto market of the future with products of higher profits, better return on investment and better ATP. If you do not like getting laid off then do not work a production line. I worked production and hated the union bumping and the lay offs about every six months. I moved on to much better. It is sad when anyone loses their job but it is no mystery that the risk of it happening at a auto assembly plant is very real. We lost most factory jobs in my area but to be honest we have rebounded and today most of the children and grand children work in offices never having to deal with the dirty old factories the parents and grand parents faced. I believe in collective bargaining and strong unions. What I don’t believe in is unions covering for workers who are lame, lazy and unprofessional, thus giving unions a bad name. Union leadership should prioritize professionalism over union dues. Only give cards to members who deserve to have the card and do their part to make the union head over heals better than any non-union employee. GM has been fighting this issue for too long. Union leadership needs to wake up and start addressing this issue if it wants to see the unions mean something again other than “cost” on the balance sheet. You know there is a problem when GM is willing to send work out of the country and still be able to make parts and vehicles. Again, what does that say about our unions when non-union workers are basically at the same professional level? You get what you pay for. Union workers need to SHOW GM why they deserve the pay they get and stop whining about everything. Each union worker needs to do what they can do to make the union proud, showing better quality and professionalism. Until then, it will simply be business as usual. Also, GM needs to quit having so many white collar workers in management. It is redundant and a big waste of money. If GM wants to really improve the business, start sinking more money into R&D. GM desperately needs better engineered cars, better designs, etc. That also has been one of their Achilles heels for decades. CEO’s and union leaders come and go, but many of the problems are still the same, no matter how many times leadership changes hands on both sides of the coin.